As a young and hungry animator, Matsubara worked as an in-betweener on the Project A-Ko movies. From there, he served as an animator on Bubblegum Crisis and Gunbuster. 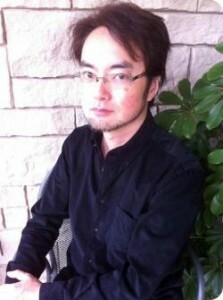 Graduating to animation director for Nadia: Secret of Blue Water, he completed the opening animation for Bubblegum Crash, and then served as animation director on Otaku no Video (the inspiration for the name Otakon). Other credits in this period include work as an animator on Perfect Blue, Gunsmith Cats, and the original Neon Genesis Evangelion series. For the Oh My Goddess! series (and later for the movie), Matsubara served as character designer and chief animation director; more recently, he was character designer for The Count of Monte Cristo. He also served as the character designer of the hit game series Sakura Wars. Matsubara has worked with director Hideaki Anno as an animator and animation director on the new series of Evangelion: 1.0 You Are (Not) Alone, Evangelion: 2.0 You Can (Not) Advance, and Evangelion 3.0 You Can (Not) Redo. His other theatrical credits include The Princess and the Pilot and Space Battleship Yamato 2199. Matsubara is currently working with the famed director Sunao Katabuchi on an upcoming theatrical film, At The Corner Of This World.